Commando Sniper Shooter 3D is a game developed by Lingogames where your mission is to save your village from terrorists by shooting them down with a sniper. 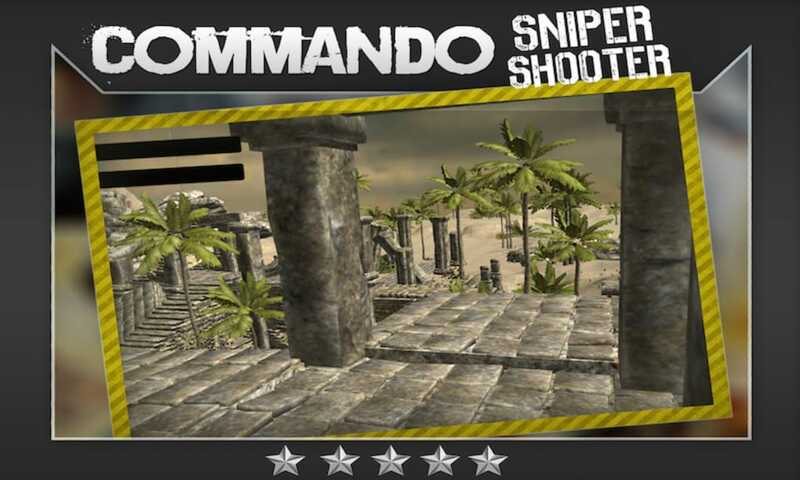 It is a great game where you can test your abilities and develop your skills in becoming a sharpshooter. The game takes place in a realistic environment where your village is under attack and in danger of being invaded by terrorists. As a professional sniper assassin, the fate of your hometown and fellow villagers is in your hands. Using a sniper, you are to shoot and eliminate all terrorists from a distance while being careful not to be seen. Shooting them down will give your villagers enough time to evacuate the premises. Keep in mind that when aiming at enemies, be sure that they are indeed members of the terrorist group and not a villager. Sometimes, in our eagerness to assassinate enemies, we mistake our villagers to be one. As a sniper shooter, stealth is also one of the key components of the game. At the start of the game, terrorists will not know that you are an enemy until you start aiming for their heads and shooting. When that happens, you have to continue sneaking around the area and avoid being seen while looking for the best strategic areas. When shooting terrorists, I would advise you to aim for their heads. Headshots will give you high scores and more skill points. It will also instantly kill your enemies so you will not have to waste many bullets before a terrorist dies. The controls of the game are really easy and responsive, which makes it easy for you to walk around the area. Like most shooting games, you can move and change your direction using the left joystick-like button while the controls on the right side of your screen will allow you to view the game from different angles. When it comes to aiming, you are allowed to zoom in and out while you are viewing from your sniper scope. 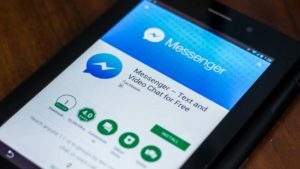 This is especially helpful when trying to take shots from a very long distance, although I must tell you that headshots from afar are most likely to be successful when you are using an advanced sniper kit. The 3D graphics of the game makes it fun to explore the area, no matter the dangers of possibly being spotted by the enemy. 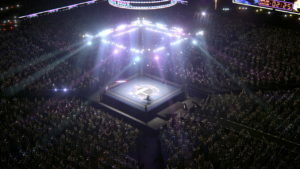 It does not have intricate details but the game elements included in the game are enough to set the mood and determine what kind of environment you are operating at. I would say that the 3D graphics are good but do not expect it to be incredibly realistic. The game still has a cartoonish feel to it. The game design is also a little old-school but it does not, in any way, affect the gameplay. Getting a headshot still leaves a satisfying feel despite seeing your opponent’s blood splatter like ice cubes from its head. 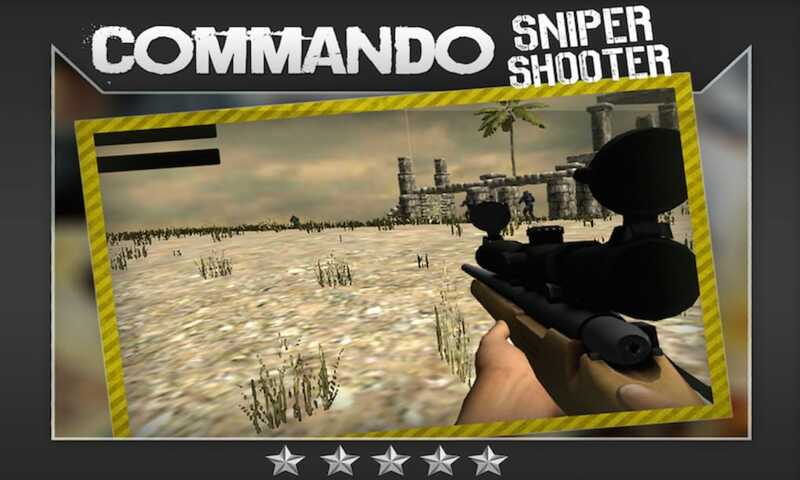 Commando Sniper Shooter 3D is an enjoyable shooting game that provides you with a different kind of experience from other gun firing games. You will feel like a skilled assassin as you try to sneak around the village to eliminate terrorists. 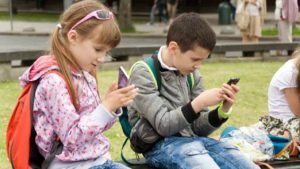 They can enjoy playing sniper shooting game with realistic features.
? 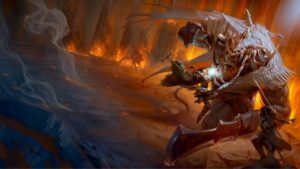 Sniper Battle begins within the old village.
? Headshots shooting improve army sniper skills.
? 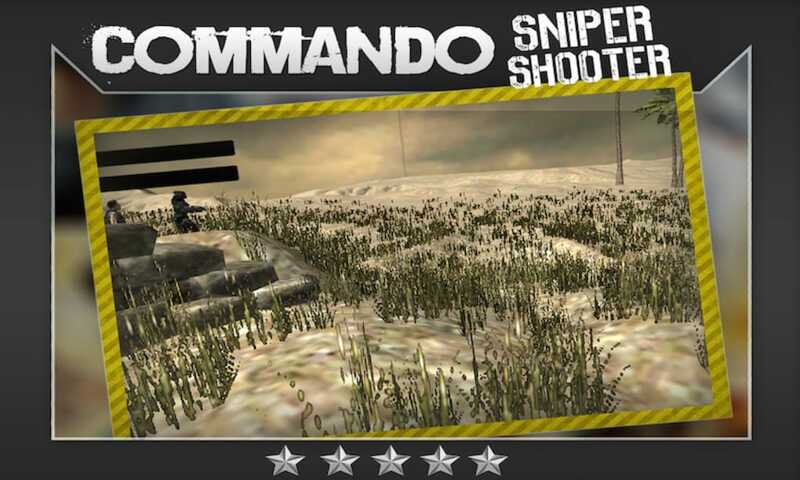 Free sniper game will help you to increase your shooting abilities.
? Headshots will improve your sniper skills.
? 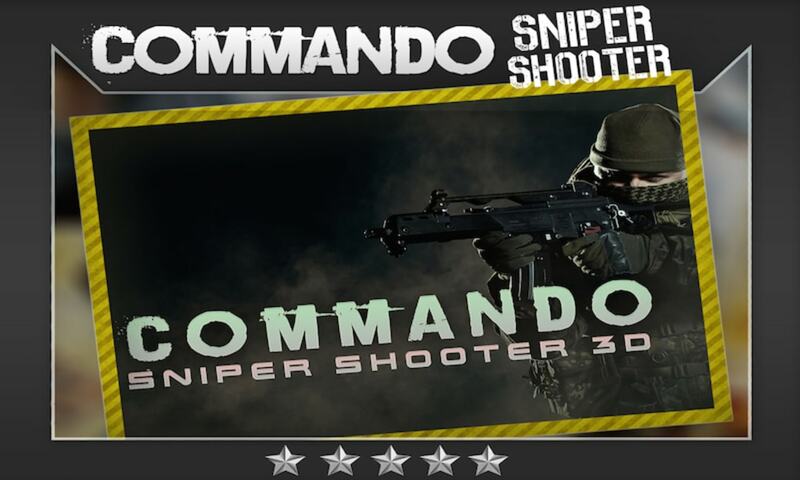 Kill all terrorists with the headshot to with your sniper to improve your tracking skills in this commando shooting free game. 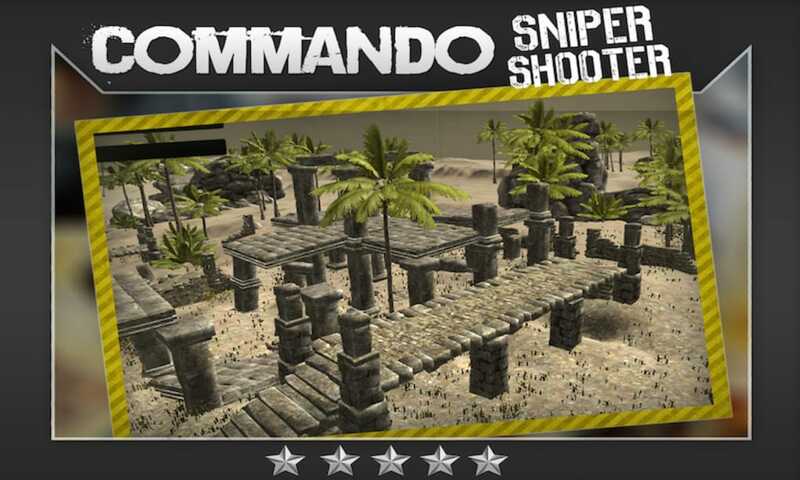 What do you think about Commando Sniper Shooter 3D? Do you recommend it? Why?